In this class we will perform a variety of exercises to effectively challenge all muscle groups. A total body workout using your bodyweight and equipment. Whether new or experienced in strength training, you work at your level with encouragement and instruction to be your best "strong" self. Take the challenge and cross train for improved overall fitness. A circuit workout will give you the benefits of both resistance and cardio session. A mix of cardio, weights, core, flexibility and mobility will keep you coming back for more. payment options are monthly or drop in rate to fit your needs! Registration: Not required, just show up! Combat pain and arthritis! Reduce risk of injury and falling! Improve overall mental and physical health! 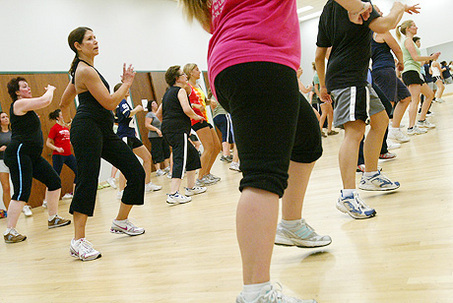 Silver Sneakers Classic Strength and Balance class on Tuesday mornings at 9:05am. Silver Sneakers Yoga Stretch on Friday mornings at 9:05am. Silver Sneakers classes are $3.00 / class or free with a valid silver sneakers card issued through your health insurance company. Cheri also offers a Pilates based core conditioning class on Tuesday mornings at 8:00am. cost is $5.00 / class.